There was a Celtic settlement at the site of Venta Icenorum before the town was founded in 70 AD. The town was at its largest around 150 AD and at that time its streets were laid out in a grid system. 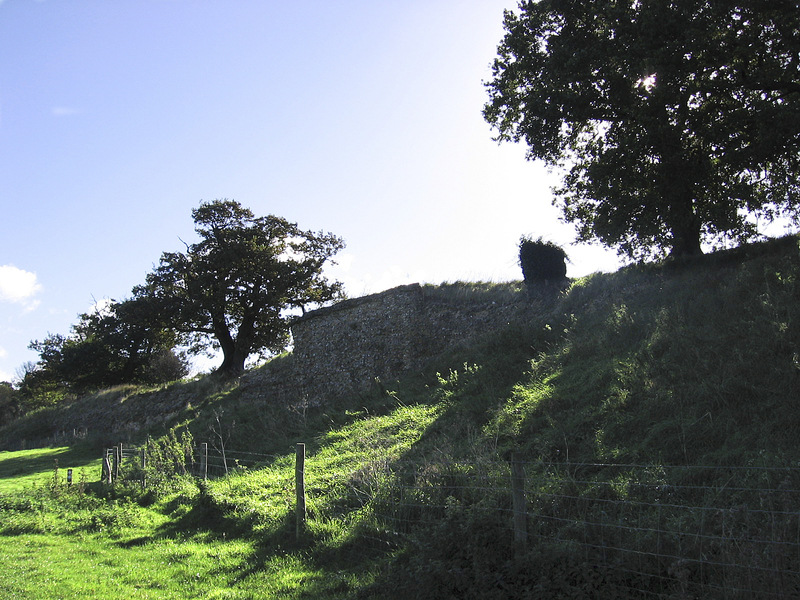 Walls enclosed the town in the late third century AD to defend against the increasing raids from Angles, Saxons and Jutes from across the North Sea. By this time the size of the settlement had been reduced to 14 ha. Only the wall foundations remain, covered with growth and earth, and visitors can walk along the top of these almost the entire way round. Some sections of the remaining town wall are visible standing 6 metres high. Past excavations, now covered up again, have uncovered the remains of a basilica and forum, the town centre for commercial and administrative activities; two temples; public baths; evidence of glass, metal, textile and pottery production; and a sophisticated water and drainage system. Aerial photographs of the area show marks of an amphitheatre on the outskirts of town to the south.